Elizabeth Byler Younts is the real deal in Amish Fiction! I am so blessed to be a part of her influencer team and to have gotten an advanced copy of her brand new book!!! 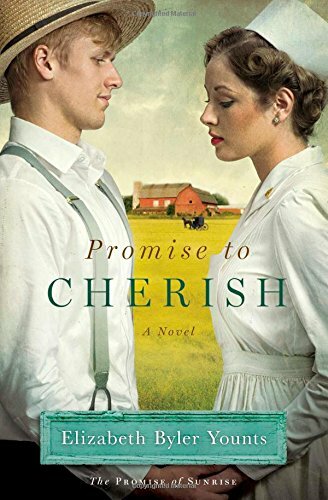 A Promise to Cherish—NOW Available!!! I love to read. Honestly, I am a book addict. I have stacks of books, I have shelves of books, and I have a kindle that has many many books on it. Many years ago my mom and best friend got me hooked on Amish fiction. So over the years I have read a lot of it! I also love reading history from World War Two. One of the things that I love about this Author is that she was actually born Amish. For those who have followed me a while, you may remember THIS post where I reviewed two other books by Elizabeth Byler Younts. I really believe that her past of having lived as Amish and much of her family having remained Amish, that it makes her books so much more authentic! 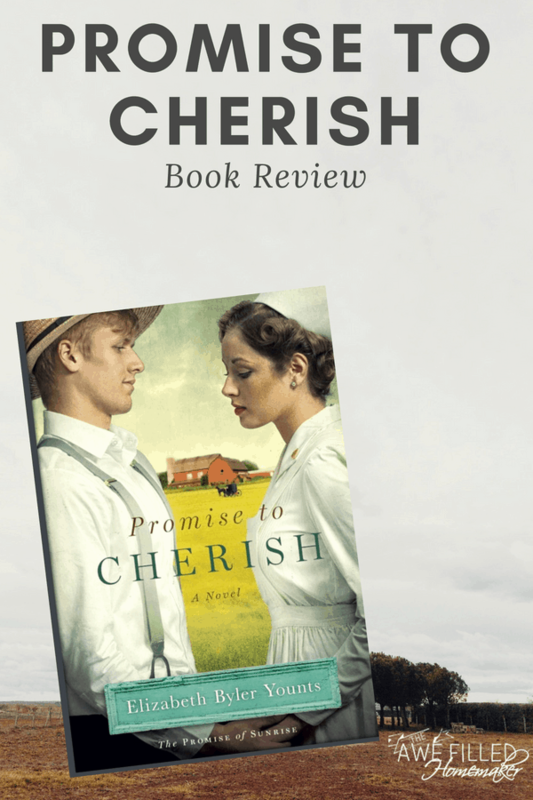 From the moment I opened Promise to Cherish I was drawn in to the story of Eli and Christine. For many of you who have read my path to modesty, as you read this book you will see how I related so well to the story! I don’t want to give to many details away about the book, but WOW it was a tear jerker and really spoke to my heart! This story is so well written, it is simply beautiful! Elizabeth does an excellent job weaving the story together. The book is so moving it and honestly it is educational! Having read a lot of World War 2 books, I honestly had not read much about those who are consientious objectors. I didn’t want the book to end at all. When I read this book I was at the hospital with my middle son who had surgery. I read the whole book while waiting for him to be taking back. During a time that would otherwise be stressful and nervewacking, I was able to submerge myself into a fabulous book! There isn’t anything negative I can find about this book so I give it a 5/5!!! This book is available TODAY!!! For order on amazon. Click the link below to get yours. THANK YOU!!!! I so appreciate this review & stars! Your words are so encouraging and I can’t wait to share the book with the rest of the world! Thanks for sharing this review with your readers and I am excited to give away a copy to a lucky reader!